I read this article and found it very interesting, thought it might be something for you. The article is called Monthly Pay Less Than Single Malt Bottle, Poor Training Impede India’s Army Of Health Workers and is located at https://archive.indiaspend.com/cover-story/monthly-pay-less-than-single-malt-bottle-poor-training-impede-indias-army-of-health-workers-63992. Rekha Rewat, an accredited social health activist (ASHA), in Madhya Pradesh. An ASHA serves as a healthcare facilitator, and goes door to door visiting the poorest and most vulnerable sections of the society–nearly 22% or 269 million Indians still live under the poverty line. Nearly a million workers–forming the frontline of India’s faltering public health system–are inadequately trained and are underpaid, according to an IndiaSpend analysis of health ministry data, imperilling the country’s progress in healthcare efforts. Accredited Social Health Activists (ASHAs)–considered to be voluntary workers–are paid a honorarium by the government and most make about Rs 1,000 a month–less than the cost of a bottle of single malt or a branded shirt. ASHAs are required to undergo a 23-day training spread across 12 months, but a third of the ASHAs in a block in north Bihar were not trained at induction, and the rest received seven days of training and learnt the rest by reading the manual, according to this 2015 study conducted in 187 villages. An ASHA serves as a healthcare facilitator, and goes door to door visiting the poorest and most vulnerable sections of the society–nearly 22% or 269 million Indians still live under the poverty line. Her responsibilities are related to reproductive and child health, immunisation, family planning and community health. This includes home visits and counselling of pregnant women, helping with village health plans, providing medical care for minor ailments, such as diarrhoea, fever and first aid for minor injuries. India accounted for close to a fifth of 303,000 maternal deaths and 26% of the neonatal deaths globally, IndiaSpend reported in September 2016. Only 62% of Indian children between the ages of 12 and 23 months were fully immunised—for BCG, measles, and three doses each for polio and diphtheria and tetanus IndiaSpend reported in March 2017. As many as 70-90% ASHAs said they needed better training, monetary support and timely replenishment of the drug kit to perform better. ASHAs also said they received no assistance from the panchayat and limited support from auxiliary nurse midwives and anganwadi workers. Only 22% of the ASHAs surveyed had some understanding of their role, according to the 2015 study in north Bihar; most ASHAs were involved in maternal and child care but did not work in local health planning or other duties related to health activism. An ASHA is between 25 and 45 years of age, educated up to grade VIII or higher, and is currently married/divorced/widowed. Typically, one ASHA caters to a population of 1,000 people, but the average has since dropped to one ASHA per 910 population. An ASHA is selected through a process involving community groups, self-help groups, anganwadi (courtyard shelters), block nodal officers, district nodal officer and gram sabha (village councils). At least 65% ASHAs were being consulted during illness of a sick child but their effectiveness was lower due to “lack of skills, supplies, or limited support”, according to this 2015 report by the National ASHA Mentoring Group in 16 states. For instance, ASHAs were able to supply oral rehydration solution from their kit in 27% of diarrhoea cases in Bihar, 37% in Jharkhand, 56% in Rajasthan and 54% in Assam. ASHAs were found to be satisfactory in 52% cases for temperature measurement, 61% cases for handwashing (before handling patients), 43% cases for weight measurement and 68% cases for skin-to-skin care, according to this 2016 study published in Indian Pediatrics. “The study demonstrates that the knowledge and skills of ASHAs regarding newborn care is sub-optimal,” the authors said. 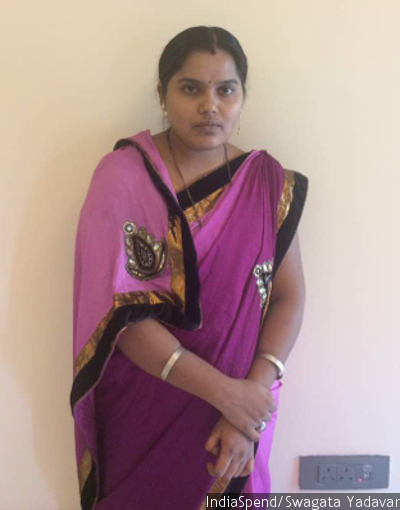 Sandhya Vaidya, 32, became an ASHA in 2010 because she wanted to work outside her home and help other women in her village of Wansadi in Naxal-affected Korpana taluka (administrative block) in Chandrapur district, Maharashtra. The work was gratifying: Vaidya remembered saving a baby’s life–as she was stuck in half inside the birth canal as her mother had seizures–among her achievements. But the pay was paltry, she told IndiaSpend. ASHAs, as we said, are considered to be voluntary workers and paid honorariums; for Vaidya, it used to be Rs 1,000-Rs 1,200 per month, given lump sum once every two or three months. It took two full years before she received the drug kit she was supposed to carry around to the households, she added. The drug kit consisted medicines for simple ailments. While they were given training every year, Vaidya said, most times they were asked to read from the manual. 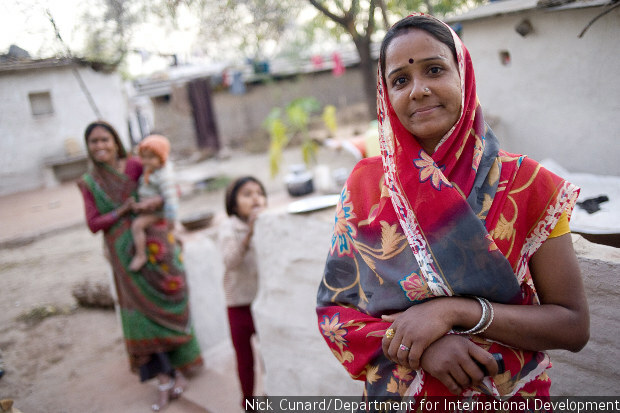 Sandhya Vaidya, 32, became an accredited social health activist in 2010. She was paid Rs 2 for each household visited, Rs 3 for each malaria test and Rs 600 for escorting women to the sub-centre for delivery if the woman is from below poverty line. In 2015, tired of the low pay, Vaidya applied and was selected for the position of police patil (constable). In 2015, tired of the low pay, she applied and was selected for the position of police patil (constable). “I now make Rs 3,000 a month and there isn’t much work. As an ASHA, I had to attend emergency calls at night, and do surveys for pulse polio and elephantiasis where I roamed the whole day to get just Rs 50,” Vaidya said. There have been frequent agitations by associations of ASHAs demanding minimum wages and asking to be made government employees. “….the issue of payment of fixed monthly honorarium has been examined on many occasions and it was decided to continue with the existing system,” this 2016 reply to the Lok Sabha by the ministry of women and child development stated. There are 873,759 ASHAs working in rural India against the target of 952,533 (91.7%), under the National Rural Health Mission. High focus states, which have weak public health indicators and weak infrastructure–Bihar, Chhattisgarh, Odisha, Jharkhand, Madhya Pradesh, Rajasthan, Uttar Pradesh and Uttarakhand–had about 90% of the targeted number of ASHAs. While the northeastern states had nearly 99% of the targeted number, in states such as Uttar Pradesh, West Bengal, Karnataka and Kerala, the shortage was over 15%. Note: Delhi has selected ASHAs only in certain identified clusters, at the level of 1 for 2,000 population. Chhattisgarh has selected ASHAs at habitation level. Tamil Nadu has selected ASHAs only in tribal areas. Goa opted out of the ASHA programme. ASHAs are also an integral part of the National Urban Health Mission launched in 2013–42,769 ASHAs are active in urban areas against the target of 70,721 (60%). Given urbanisation and the expansion of slums and slum-like areas, the target for ASHAs is likely to increase across all cities and towns, the update said. The programme to recruit more ASHAs is also stuck at inadequate training: The sluggish pace of training leads to attrition of knowledge and skills, and affects the state’s readiness to register ASHAs for certification, according to this July 2016 update, the latest available, by the National Health Systems Resource Centre, a part of the ministry of health and family welfare. “The stagnation in training at the ASHA levels implies lack of resources: both financial and human,” the update said.